We collect data on the Amargosa’s most unique and vulnerable resources. 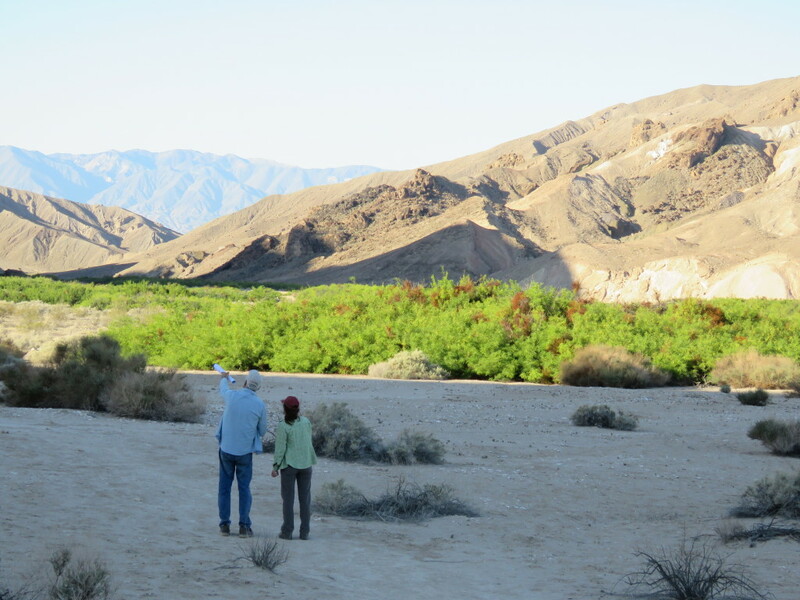 The Amargosa Conservancy conducts regular monitoring activities in our watershed to help gather knowledge and establish baseline data for the decision makers who manage our surrounding public lands. In Carson Slough, the outflow area for the Ash meadows National Wildlife Preserve, we conduct regular monthly water depth monitoring as well as plant health monitoring of the federally listed endangered plant, the Nitorwort. This data is entered into a national water data bank and shared with any public agencies that have an interest. We also conduct periodic monitoring trips through the spectacular Kingston Mountain Range, reporting to the local BLM office about cattle populations, possible grazing problems, or vandalism and needed repairs to the simple facilities at the three public land springs in the range. Importantly, the Conservancy has played a key role for almost a decade in an extensive spring monitoring, water sampling and analysis program. This first of its kind project has revealed the probable and varied sources of the large amounts of ground water that surface here. This valuable information can now be used by land and water management entities to make key decisions that will help preserve this unique desert riparian environment. As climate change and prolonged drought continue, these decisions will be critical in sustaining the natural as well as human populations in the Amargosa region. Areas of the desert that were previously “ black holes “ of data are now in clearer focus due to this important monitoring work.